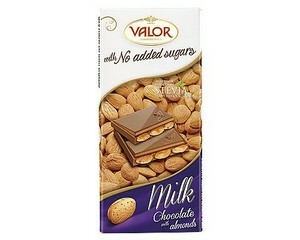 Valor Sugar Free Milk Chocolate with Almonds bar combines all the nutritional values of the best Marcona variety of almonds with the creamiest and freshest milk and pure Valor chocolate, to produce an exquisite variety. 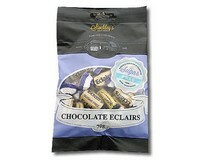 This sugar free chocolate tastes wonderful and has a crunchy texture. Instantly providing energy and vitality for any occasion. Cocoa solids minimum 36%. Ingredients: Sweetener: maltitol, almonds (25%), cocoa butter, cocoa mass, milk powder, skimmed milk powder, emulsifier: soya lecithin, sweetener: steviol glycosides (0.07%), flavourings. May contain traces of hazelnuts. 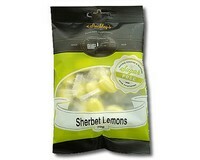 Contains naturally occurring sugars. Excessive consumption may produce a laxative effect.